When selecting sunglasses, you may wonder how to pick out the best frames for you. Sunglasses can give you instant James Dean cool, Audrey Hepburn glamour, or the rock star hipness of Bono. But they are much more than a fashion accessory. Sunglasses are an essential tool in protecting health of your eyes and the surrounding tissue. Here’s what you need to know about what sunglasses can do for you and how to choose them. STYLE: Identify your style: Go for glasses will easily fit into your current look. PURPOSE: There are sunglasses for different occasions. 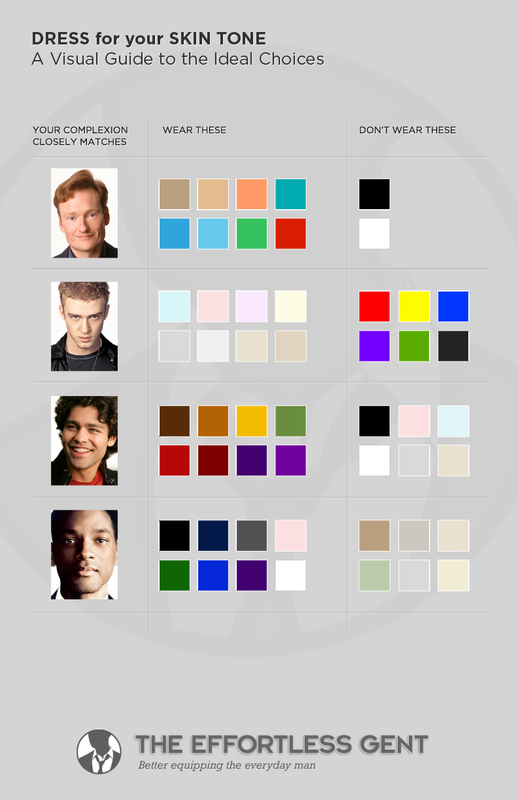 Hone in on whether you’re going for effortless / sun protection / fashionable / sports-related / etc. COLOR: Choose a sunglass color that matches your personal color tone (skin color & hair color); dark colors like black will give your look an edge. If you want casual go for lighter colors like greens, tans, or thin metal frames. Fit Matters Sunglass frames should fit snugly on your nose and ears without pinching or rubbing. To prevent light from hitting your eyes, choose a pair that fits close to your face around the eyebrow area, but not so close that your eyelashes are hitting the lenses. The majority of sunglasses today are designed to be flattering and functional. 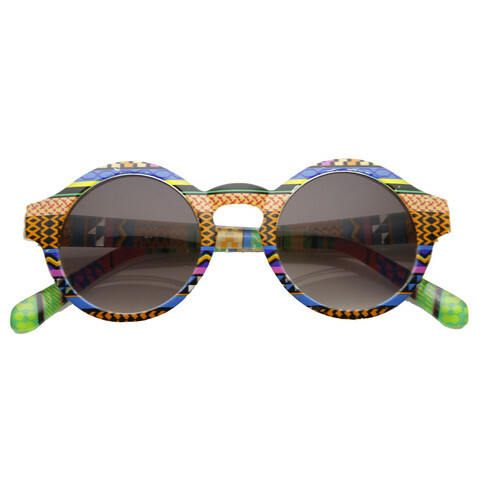 And protecting your eye health is one sunglass trend that will never go out of style. Frame Choosing the right frame is important as it contributes to the comfort, durability and safety of your sunglasses. Nylon/Plastic — Inexpensive, lightweight and more durable than metal; some have high impact-resistance for sports. Acetate and Zyl — Sometimes called “handmades,” these variations of plastic are popular on high-style glasses. They are normally fashion pieces found in boutiques; not intended for high-activity sports. Nosepads & Earpieces If you plan on working up a sweat, look for styles that have rubber nosepieces or earpieces that help keep your glasses from sliding down your nose. Wrap-around lenses block more of the light hitting your eyes from the side. They improve aerodynamics, cutting down on wind that can dry out your eyes, and provide extra protection against rain, sand and other debris. Bridge Fit The bridge is the distance between the lenses over your nose. Make sure you get the right bridge fit by choosing sunglasses with the right bridge size for your face – this will vary person to person and by sunglass design. 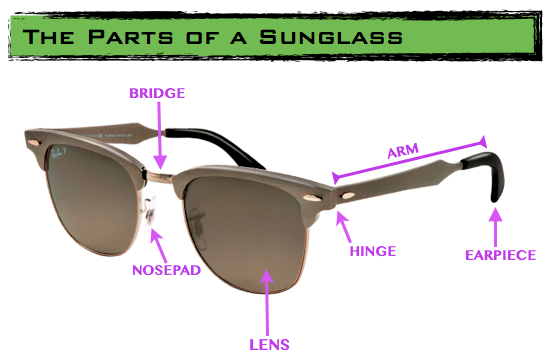 If bridge is too big, the sunglass frame will hit too high, let a lot of light in and pull your face up. If bridge is too narrow, it looks like your squeezing your nose. Polarized Lenses especially for Outdoors / Water Polarization is a great feature if you spend a lot time on the water or are especially sensitive to glare. When light reflects off of flat surfaces, the light creates an intense glare. The filters in polarized lenses block these amplified light waves, substantially reducing blinding glare and protecting your eyes. Heart -Shape – Take a look in the mirror – if your forehead is significantly wider than your chin, you have a heart-shaped face. Aviator and cat-eye frames are the best for you as the bring balance to the width of your face. Round – Round faces have full cheeks without many angles. The width and length of your face is roughly the same. Avoid glasses with a lot of curves in them, any that mimic your face shape. Square – Square-faced individuals have a lot of angles. From your cheekbones to your jaw, your face is very defined. To soften the angles in your face, go for a low-profile pair of thin glasses or something large and round. Choose a frame that is wider than the widest part of your face to help balance the proportions. Hinges These depend on the frame material. On most nylon frames, hinges are made of a molded pin that’s actually part of the frame material. This creates a very durable hinge. Metal, acetate and zyl frames must use either a barrel-hinge or spring-hinge design. These offer the advantage of extra flex to fit larger heads, at the cost of some durability. Higher-quality frames may use nickel-silver hinges that are more rugged and reliable. Shopping online? ShadesDaddy.com has product descriptions that include fit guidelines such as “fits smaller faces” or “fits medium to large faces” for guidance, as well as listing what materials the sunglasses are made of, if they are polarized, offer UV protection, type of lens and many more details. 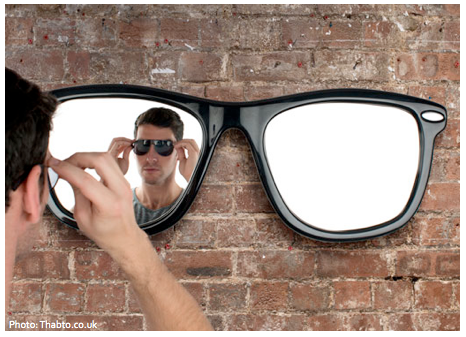 Some brands have different sizes for their sunglasses like Ray-Ban to cater to the different face sizes people have. What Sunglasses Look Good For My Face Shape?